Looking for a wonderful place for job hunting and networking? 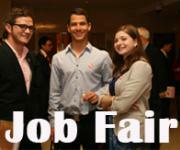 Come to the 2014 Job Fair for Foreigners this November for surprise! List of exhibitors will be released soon!